SunEdison, the world’s largest renewable energy company, has announced that it has finalized financing of a new wind energy project that will be developed in Maine. The company has begun construction on the project, which is called the Bingham Wind Project. The wind energy system will be located in Somerset County, and once completed it will be the largest wind energy project of its kind in the New England area. Wind energy had received strong support from the U.S. government in the past. The government believed that wind power held economic promise, and supported the development of new wind projects through the Production Tax Credit. The financial support offered through this initiative was put to rest, however, due to concerns regarding its economic impact. This created some uncertainty among investors interested in renewable energy. Despite the lack of support that the wind energy sector has received from the federal government, it continues to see some growth due to the efforts of companies like SunEdison. The Bingham Wind Project will have a maximum energy capacity of 185 megawatts, which is enough to power approximately 65,000 homes every year. The electricity that the wind energy system generates will be sold to three utilities through a 15-year power purchase agreement. The project will represent a step forward for renewable energy in the New England area. Wind energy is expected to see prominent growth in the coming years, even despite the lack of support it is receiving from the federal government. 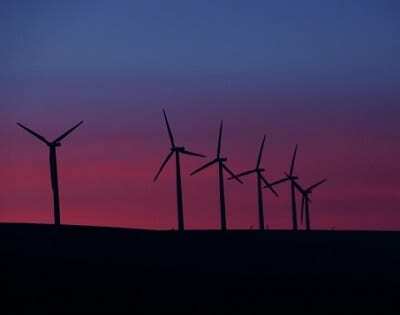 In the relatively near future, the country’s wind capacity is likely to grow exponentially, as SunEdison has recently announced that it will be working with Gamesa to develop new wind projects that produce a combined 1 gigawatt of electrical power. Both Gamesa and SunEdison will share the costs associated with developing these projects.